*Feed those retirement plans. The most important thing you can do to hasten your Financial Independence Day is to continually save and invest for retirement. Take full advantage of your 401(k) or other employer-sponsored retirement plan. Your earnings have the potential to grow on a tax-deferred basis and you can create an investment mix that reflects your risk tolerance, time horizon and retirement goals. Also, even if you have a 401(k), you may be eligible to invest in a traditional or Roth IRA. A traditional IRA has the potential to grow tax-deferred, while a Roth IRA has the potential to grow tax free, provided youve had your account at least five years and you dont start taking withdrawals until you are at least 59-1/2. And you can fund your IRA with a wide range of investments, such as stocks, bonds and certificates of deposit (CDs). *Dont let your debts get out of hand. You probably cant avoid all debts, and some of them – such as a mortgage – at least offer the possibility of tax write-offs. But the larger your debt payments, the less money youll have to invest, so do what you can to live within your means. *Prepare for emergencies. If you face some unexpectedly large medical bills, or if you need a new car or a major appliance, will you have the money available? If not, you may have to dip into your investments – and that can slow your progress toward your eventual financial freedom. To avoid this problem, build an emergency fund containing six to 12 months worth of living expenses. Put the money in a liquid vehicle – one with a lesser risk of loss of principal. By making the right moves, you can someday reach your own personal Financial Independence Day. So put it on your calendar of the future – and then do what it takes to reach that happy date. The first two days of last week were hot and mucky. The kind of days that tell me it is time to stay indoors and watch TV or do housework (perish that thought). Our Old English Sheep Dog, Maggie, and I were curled up in the family room watching the College Baseball World Series. I switched to a news channel to catch up on national and world happenings. There I saw a story about an eleven-year-old sleeping boy who had been dragged from a camping tent by a bear and killed. He had been sleeping in the tent with his brother and parents. The event occurred in the mountains of one of our western states. Certainly our hearts go out to the boy and his family after such a tragedy. Bears and humans dont mix well and we are hearing more and more of these encounters. At this mornings breakfast Linda and I were talking about the growth of the bear population across the country. This attack has caused a number of TV, radio and newspaper articles about this growth in bear population and increasing encounters with humans. According to one article, every state in the union now has a bear population. It is only a matter of how many and what kind. Most, I imagine, are black bears that seem to be in abundance across our country. One evening about dusk several years ago we were resting in our family room. It has two outside corners that adjoin our deck. Suddenly we felt it vibrate and heard a rubbing noise. I went to the outside door to find out what it was just as a black bear ran from our deck down the hill and into the river. He must have been scratching him/herself on the corner of our house. We were rather amused by the event. It was the first, and last time, we have seen a bear around our house. Just a few years ago we were returning from a vacation down south and came through the two tunnels on I-77 between Virginia and West Virginia. Just as we came out of the East River Tunnel we saw a black bear running along the pavement, I guess looking for a way out. His problem was to the delight of the motorists heading in both directions on the interstate as traffic slowed significantly to watch the bear. We remarked at the time that the state tourist officials were overdoing it if this was a planned event. We have been to our state parks on a number of occasions and have seen a bear or two on several trips. Most often it has been around the park lodge where they search for food. We are infringing on the habitat of bear and other wildlife more and more and we are going to hear more and more about bear or other wildlife attacks. In the case of the recent bear attack out West the bear was killed, cut open and some parts of the boys body found inside. Yet black bears are not usually known for attacking humans. While I hate these attacks I find it hard to always blame the animals. Their habitat is getting smaller and smaller as we push further and further in their direction. I guess the only answer, if we are going to travel on their land, is vigilance and common sense. Im not certain we humans consider either one at times. CROSBY An anonymous tip has provided the Harris County Sheriffs Office the break they needed to solve a 10-year old murder that occurred in Indian Shores, according to Lt. John Martin. Frank Daniel Johnson III has been charged in the 337th District Court with the murder of Leonard H. Jacobson. On Aug. 26, 1997 Jacobson, 75, a golf pro at the Indian Shores golf club, was found bludgeoned to death inside the pro shop where he had worked for the past 16 years. Witness reported seeing a black male with dark skin, between the ages of 30 and 40 years running from the scene just after the body was discovered around 3 p.m. At the time of the murder, Johnson was 35 years old. HCSO Spokesman Lt. John Martin said that two bloody fingerprints were found at the scene, but that they did not have anything to compare them to. The break in the case came on April 23 of this year when homicide detectives received an anonymous tip that Johnson had committed the murder. At the time Johnson was in the Harris County Jail charged with burglary and intent to commit other felony. Martin said that Johnson had broken into his ex-wifes residence and attacked her with a pipe wrench. Noting the similarities between the two assault cases, detectives compared the bloody fingerprints from the Jacobson case with Johnson and found a perfect match. During the initial interview, Johnson denied committing the murder. However, when confronted with the fingerprint evidence he confessed to the act, giving detectives a detailed account of the assault. Johnson said that on the day of the attack he went to Indian Shores to play golf. He said that he was upset over a recent divorce, the death of a family member and the death of a close friend and that he thought a round of golf would lift his spirits. He said that he hung out at the pro shop for a while hoping to join a game. Eventually Jacobson confronted him about loitering and ordered him to leave. Johnson said that he then ran away, leaving the wrench behind. When he returned shortly thereafter he found other witnesses at the scene. He said that he even talked to some of the witnesses, telling them that he was leaving to get some ice for Jacobsons wounds, but did not return. Martin said that Johnson has a criminal history. 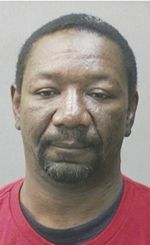 In July 2004 he was convicted of a felony theft charge in Baytown. He was sentenced to four years deferred adjudication. Apparently Johnson did not follow the rules of his probation because in December 2006 a motion was filed to bring Johnson back to court for sentencing. Johnson remains in jail with a $50,000 bond on the murder charge. No bond has been set for either the burglary charge or the theft charge. HIGHLANDS It was a festive occasion last Saturday night, even themed the Fiesta, as the Highlands Rotary club installed their new officers and board for the 2007-2008 term. The event was held at the Baytown Boat Club on Clear Lake Road in Highlands. Almost 100 Rotarians, family and friends attended the event. The incoming president is Charlie Ward, and the retiring president is Johnny Gaeke. The emcee for the evening was Weston Cotten. In addition to the local Rotarians, there were delegations from the Houston District 5890, and other local clubs. A special feature of the evening was a photography session with Portraits of Texas, who costumed and photographed everyone attending in a Fiesta pose, and then presented them with a complimentary print on the spot. In a summary of his last year, Johnny Gaeke reviewed the projects that the club had accomplished. These included smoke alarms installed throughout homes in Highlands; support financially and with work sessions for the Highlands Heritage Museum & Preservation Project; fresh water project in Central America; 6 pallets of books donated to readers in South Africa; new scoreboard for Highlands Little League park; hosting an exchange student, Goran Peterson from Germany; membership growth of 3 new members and 3 prospects; continuing support of the Stratford Library, the Boy Scout troop, and the Food Pantry; and the expansion of the scholarship program, so that this year 15 scholarships were awarded, for a total of $20,000. Perfect Attendance awards were presented by Gaeke, with the highest honor to Weston Cotten with 21 years. A special Service Above Self award was given to past president Steve Miller. Speakers from District 5890 included Frank Parilla, on Youth programs such as Interact; Phyllis Slava on the Youth Exchange program; and Linda Reyes on the Ambassadorial Scholarship program. The installation of officers and board was conducted by Judge Mike Parrott, who recounted his first involvement with Highlands was in 1975 with Commissioner Jim Fonteno and Chester Stasney. New Officers are President Charlie Ward; President Elect Patricia Scott; Secretary Michelle Lomazoff; Treasurer Jeremy Rosenkranz; and Sergeant-at-Arms Aaron Cole. Board members include Membership-Robert Woodall; Public Relations/Programs-Gil Hoffman; Service projects-Johnny Gaeke; Foundation Chair-Steve Miller; and directors Weston Cotten, Raymond Gonzales, and Sam Al-Rasheed. Charlie Ward then spoke about his plans for the upcoming term. His projects include gift cards and recognition for our veterans, young and old; helping feed veterans on the 4th of July in Crosby; hosting an exchange student from Taiwan; developing new Interact high school clubs, at Crosby HS, Goose Creek 3rd HS, and continuing support for the Interact club at Chinquapin; continuation of the scholarship program; support for the Refurio Infantile orphanage in Mexico; benefit events such as the new Washer Tournament, and the annual Chili Feast. Ward noted that the success of the Chili Feast has helped the Highlands Rotary gain recognition throughout Houston, by donating the highest amount of money per capita to the Rotary foundation of any of the 57 clubs in the district. Ward thanked the Henderson cooking team, Portraits of Texas, and the music program for helping the banquets success. The evening closed with remarks from Weston Cotten and the 4 Way Test recited by all, led by Steve Miller. CHAMBERS COUNTY Chambers County Farm Bureau held their annual Ag Day in the Park on, May 15. Over 480 4th Grade students from Anahuac, Barbers Hill and East Chambers Schools attended this unique program. 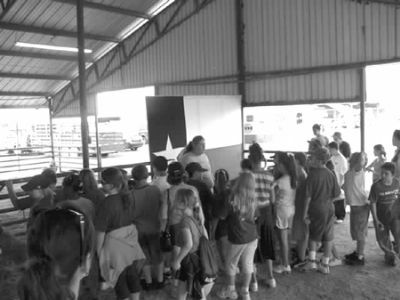 Ag Day in the Park is a portion of Texas Farm Bureaus Ag In The Classroom curriculum and the Planet Ag exhibit seen across the state at county fairs and major livestock shows such as Houston, Fort Worth and San Antonio. Mr. & Mrs. James Gentz  longhorns; Mr. Moe Way  Texas Agriculture Extension; Service  Beaumont station; Mr. Gary Nelson  rice milling; Mr. Ricky Wolfe  crayfish farming; Mr. Bob Kahla & Mr. Luke Clement  cutting horse demonstrations; Mr. Jonathan Haralson  Texas Farm Bureau Ag Trailer display; Mr. Buddy Devillier, Mr. David Murrell and Mr. David Edwards  all providing livestock for the kids to view and pet. Many other wonderful people in the community help to make this possible. A big thanks to the East Chambers Ag Department. They provided 30+ youth to help us move the animals, panels, pens, and children throughout the day. Also the Noon Optimist Club of Winnie  they assisted in preparing hamburgers for all of the children, workers and exhibitors. Mr. Bruce Hinds graciously provided cattle for the cutting horses and Mr. Larry Devillier, Sr. helped with the cutting demonstration. Winnie Stowell EMS was also on hand for the entire day and we certainly appreciate them coming out. Thanks as well to Chambers County Farm Bureau Board of Directors, Agents and Administrative Assistants for all being on hand and assisting. LIBERTY COUNTYA Baytown man has been charged in the June 3 shooting in the Westake area of South Liberty County. Robert Dwayne Lowery, 32, has been charged with the aggravated assault of Jerald Reeves, 51. Lowery, who is in a Baytown jail on unrelated charges, is expected to be returned to Liberty this week. According to the Liberty County Sheriffs Office, the shooting took place at Reeves home on Private Road 4443, off County Road 443 at around 9:15 p.m.
Reeves told investigators that he and his wife were having dinner when a vehicle pulled up in front of his house and began to honk its horn. When Reeves went outside to investigate he was shot twice, one in the arm and the other in the chest. 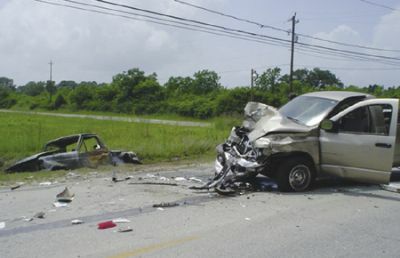 Reeves was transported by Life Flight Air Ambulance to Memorial Hermann Hospital in critical condition. Investigators say they found .22 caliber shell casings as well as live rounds on the ground outside the house. They added that they believe that earlier in the day Reeves and Lowery had gotten into an argument that sparked the attack. CHAMBERS COUNTY The Chambers County Historical Commission met in the Archives Building last week for a Regular Meeting and welcomed Betty Gail Benningfield, the next member that will be appointed by Commissioners Court. Mrs. Benningfield is a native of Anahuac and a retired teacher. She will be replacing Billy Harmon who recently resigned. The Commission discussed the recent 175th Anniversary Celebration and Chair Bob Wheat dismissed the various committees. The Commission has not gotten the final tally on funds raised, but it is believed to be in excess of $10,000. Plans are being made to utilize the funds for improvements to the archives and museum as well as additional archeological studies for Fort Anahuac. The Commission continues to sell the commemorative afghans for $65.00 and they may be purchased by contacting Bob Wheat at 409-267-6599. The Commission meets the fourth Saturday of each month at 9:00 am and the public is invited. The archives/museum is located at 300 Cummings Street in Anahuac. BAYTOWN Long-time Goose Creek CISD educator and administrator Al Richard was named principal of the districts new high school at the June 25 Board of Trustees meeting. Richard, who has been with GCCISD for 24 years, has served as director of student services since February 2006. Prior to this position, Richard was the districts athletic director for six years. 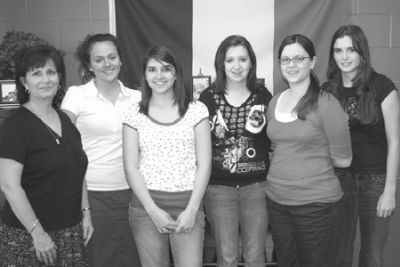 Richard began his teaching career at Opelousas Senior High School in St. Landry Parish in Louisiana. After five years there, he joined the GCCISD team, teaching mathematics at Robert E. Lee High School from 1983 to 1988 and serving as assistant principal at James Bowie Elementary School from 1988 to 1991. He taught math at Ross S. Sterling High School during the 1991-92 school year and spent the next three years as assistant principal there. In 1995, he was named principal of Horace Mann Junior School, where he served until 2000. Richard earned his bachelors degree at the University of Southwestern Louisiana and his masters degree at Louisiana State University. High School #3, which is located at the corner of North Main Street and Wallisville Roads, is scheduled to open at the start of the 2008-09 school year. Nominations for the name of the new school are currently being accepted by the district, with a public forum to be held on Aug. 16 in the Board Room of the Administration Building. CORPUS CHRISTI  Justin Towles played catcher throughout the Crosby Sports Association and Crosby High School teams as he grew up here with his sights set on one day playing for the Houston Astros. That dream moved two steps closer to reality as he was promoted last May 14 to AA League with the Corpus Christi Hooks; and he was recently chosen to play in the 2007 XM Satellite All-Star Futures Game. The game will play be July 8 at AT&T Park in San Francisco and airs at 3 p.m. on ESPN 2. The most dangerous batting catcher in AA leagues now, Towles is the only representative for the Astros in the Future League. Towles will play on the U.S. Team, the League game represents 12 countries. He won the Atlantic League Home Run Derby. In Class-A he was hitting .346 with a .549 slugging percentage at Lexington last season. 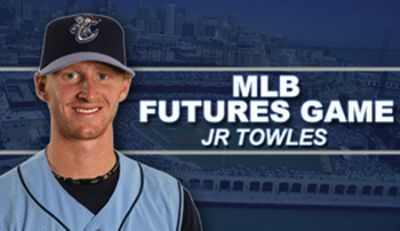 Towles has 19 runs, five doubles and three homes in 27 games with the Hooks. He is hitting .299 with an impressive .400 on base percentage. He is tabbed as the sixth-best prospect in the Astros organization. MONT BELVIEU Barbers Hill High students continue to distinguish themselves among their academic peers. Francophiles from around the state of Texas met at the Woodlands High School in March for the 44th annual Texas State French Symposium. The Symposium gives students the opportunity to meet with and compete against other high school French speakers throughout the state. This year, approximately 1,200 students from 50 high schools competed. The contest begins with written tests in grammar, vocabulary, civilization, and listening. It is also an intense two-day competition with memorized recitations in poetry, prose, sight reading, descriptions of pictures, and drama presentations. Non-academic areas of competition include art, projects, collages, and photography. At the end of the competition, all schools are rated on a point system. Barbers Hill High School was ranked number 19 in the state—-this includes schools as Kingwood, Woodlands, Klein, Bellaire, Plano, Austin, John Cooper, etc. This is a great accomplishment considering that the larger 5A schools can compete with 40 students and Barbers Hill, due to its size and enrollment, only competed with 16 students. Out of the 16 students competing, 14 students advanced to the semi-finals (Top 20) and 6 students advanced to the finals (Top 10). State winners were: Lillie Mayeux (French 2), 6th poetry and 7th guided speaking; Jennifer Dubose (French 2), 7th project; Ashley Wright (French 2), 6th collage; Jennifer Meeks (French 1), 6th drama solo; and Hailey Brookshire (French 1), 7th poetry. Also advancing to the finals (Top 10) were: Brian Bender (French 3), drama solo and sight reading; Jenny Medrano (French 1), poetry; and Mirian Arana (French 2), vocal solo. Katie Piper and Matt Wade also participated in the competition.